Lama Kunga Rinpoche kindly bestowed the empowerment of the Medicine Buddha (Sangye Menla) at Ewam Choden at 1:00 p.m. on October 28th. About thirty people attended and received this empowerment. Everyone is welcome. Please arrive early to register, and be considerate of neighbors when you park. Also, check the calendar on the right to see the empowerment schedule month by month. 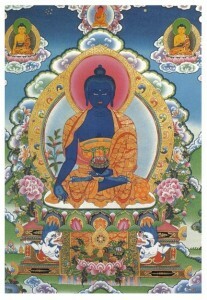 Description: Lama Kunga Rinpoche will kindly bestow the empowerment of Yellow Dzambhala. 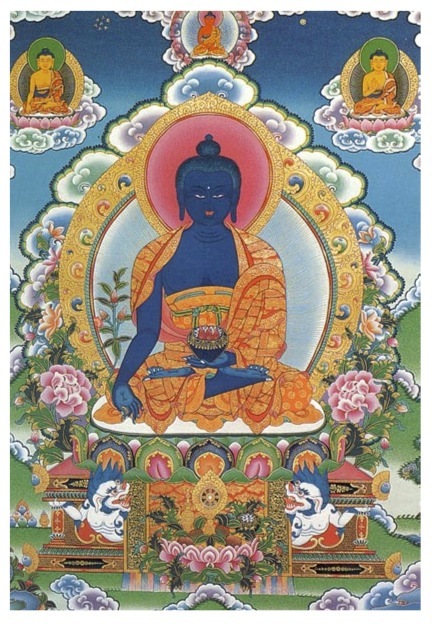 Description: Lama Kunga Rinpoche will kindly bestow the empowerment of Green Tara. Description: Lama Kunga Rinpoche will kindly bestow the empowerment of Singhanata. Description: The annual memorial prayers for those relatives and friends, and all beings, who have passed on will be held. 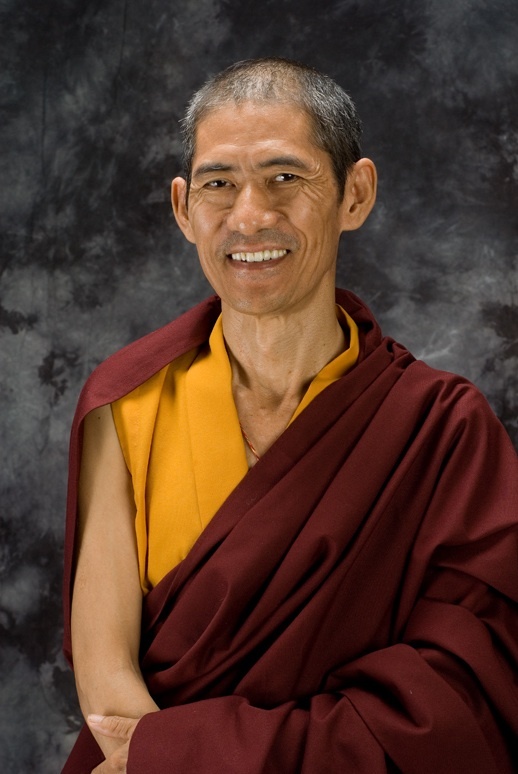 This Sunday, Lama Kunga Kunga Rinpoche will lead the Chenrezi meditation and include a Long Life Prayer for H.H. Sakya Trizin for his birthday (Sept.7). Look (above) under Activities > Sunday morning meditation for further information. Khenpo Pema Wangdak will teach on LOJONG or 7 Point Mind Training. This deep, comprehensive Buddhist mind-training was taught over 1,000 years ago. PLACE–Ewam Choden Tibetan Buddhist Center DAY/TIME—8/25 10 am to 12:30 pm & 2 pm to 4:30 pm (Bring lunch.) 8/26 10 am to 12:30 pm only Donation requested–$45 for all three sessions, $20 for one session. In 1982, he was sent to the West by His Holiness Sakya Trizin, as the first of the younger generation of Tibetan teachers in America from the Sakya School. In 1989 Lama Pema founded the Vikramasila Foundation which encompasses the Palden Sakya Centers in New York and three other states. 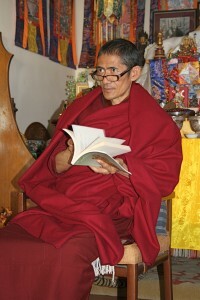 Lama Pema is the creator of “Bur Yig”–Tibetan Braille, and the founder of Pema Ts’al (English for Lotus Grove) Schools in Mundgod, India (for Tibetan lay children); Pokara, Nepal (monastic schools for boys); and Pema Ts’al School in New York City, with a curriculum modeled on that of Sakya College, India. The Pema Ts’al School in New York City provides a traditional Buddhist education of monastic training and study, in the format of Western university teaching. Lama Pema was recognized with the title of “Khenpo” by His Holiness Sakya Trizin in 2007. He received the distinguished “Ellis Island Medal of Honor” award by the National Ethical Coalition of Organizations in May, 2009 at Ellis Island for his humanitarian work around the world. Lama Pema is the first Tibetan ever to have received such an award.